Jennie Bennett, A Writer's Journey: 200th Post Giveaway - Feat. Tasha Seegmiller! I bet you didn't know that today is a special day. Okay, it might not be special for you, but it is for me! Today marks the 200th post that I've written between this blog and my previous blog, A Book, A Girl, A Journey. Not only is today special for me, but today is special for Tasha Seegmiller becasue she's passed 200 followers! In honor of the awesome 200's we are swapping blogs and giving away prizes. 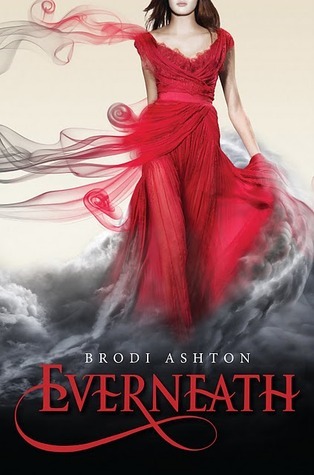 Just by commenting on the end of this post you can win a copy of Everneath, and if you comment on both this blog and Tasha's blog you can win a $20 gift card! You'll want to go to Tasha's blog anyway becasue I'm giving away a hardcover copy of Midnight in Austenland. That's something you won't want to miss. I’ve always been good at writing. I had notebooks of stories, would make them up with my current crush and me falling madly in love, but always using pseudonyms that only started with the letter of mine and his first names so no one would ever know (yup, sneaky). The problem is when I was in high school I had lots of really good writers in my class (hello, Ally Condie!). My writing always got good marks, but never vocal attention giving praise because there were just so many good writers. There was one time in high school that I remember accolades for a love story I wrote about two teens going to prom (me and my crush at the time. He’s gay so you can see that my stories really didn’t come true). But I got glares instead of congrats from so many people in the class, that I decided the silent on the paper for my eyes only kind of praise was more for me. Skip forward 6-7 years when I finally figured out what I wanted to do with my life after spending a good academic year as the president of the Major of the Month club. English was my passion and I still was decent…adequate…getting A’s but not many people knew. Then, I took a class from David Lee. He has a passion for literature that I have seen met in few, a passion that came out in all the emotional manifestations. And he loved my writing. I took a class from him that studied Milton’s Paradise Lost for an entire semester, a class that had bruised many a GPA, a class that I just had to try. This class pushed me – hard, and I LOVED it. Dave started the class indicating he had taught it a dozen times, during which he gave three A’s. Now might be a good time to mention I’m competitive. I wanted that A. The feedback I got was beyond what I thought I could receive – they had always been comments given to my classmates. The more I wrote, the better the feedback and I caught the bug to research and write. That semester, David Lee gave out two A’s in his Milton class. I was one. I have loved to write since. Actually, I have been in love with writing since (don’t worry, my husband knows. It’s okay – he’s in love with golf). And five years ago, I remembered that I knew how to write things besides research papers, dabbled a bit but really got serious about it six months ago. Tasha Seegmiller is a high school English teacher by day, writer by night, mom and wife everywhere through and in between. She is working on a contemporary Women’s Lit dealing with death, heaven and selfishness. 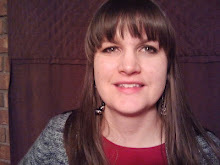 She blogs at Tasha Seegmiller, with her critique partners at Thinking Through Our Fingers, and as a rotating instructor at The Writer’s Dojo . Tasha can also be found on Twitter and Facebook. Now I'm off to check out Tasha's blog! I laughed when reading this, because I used to write the exact same kind of stories when I was younger! I've heard great things about David Lee, but I CLEPped out of my college English classes. See how interested I was in writing back then? What did I know! I think at one time or another we all take a gay guy to prom. I'm kind of getting back into the idea of writing fiction as well but you are WAY more practiced than I. Best of luck to you, Tasha! And ladies, COULD YOU BE GIVING AWAY BETTER BOOKS? I would argue, you could not. I love that you both had amazing college (/high school) teacher stories! I love Tasha's competitiveness. And congrats on both of your 200-ness! First, is that your handwriting in that picture? If so...damn. Always up for free stuff, too. That class sounds like a great experience. Glad you started writing seriously. Congrats Jennie blogger extraordinaire. Fun guest post as well! Congratulations on 200 posts! Woo hoo! Congratulations on your milestone, and thanks for the interesting guest post! What a neat story. I'm a new follower, found you through a friend. Nice to meet you! Hi, Tasha! I love the blog swap idea. How fun! 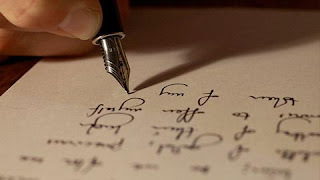 You have a great talent for writing. Tasha, I love hearing how writers are molded and yours doesn't disappoint. Congrats on the 200, girls! Congratulations, Tasha! Wow, so many started writing serious when they were young. And JA, I'd linked to your post about turning off word verification in my post today and many have stated they appreciated that! I'm worried that I might be late to the party, however Tasha thank you! Thank you for reminding me that it's okay to take a few years before I finally find the story I'll make time and write furiously on. Tasha you went to school with Ally Condie? That's insane!! Hi, Tasha! Your story is fantastic, and I wish you all the best in the future. Yay, I'm so glad you didn't give up! What a great story, isn't it awesome the influence a good teacher can have?